What Is Mobile Fence App? How Does Mobile Fence Work? What Features Does Mobile Fence Have? How Do I Install Mobile Fence? Is It Legal To Use Mobile Fence? For many years, parental controls were considered a waste of money. The majority of monitoring apps even weren’t working. They needed too much efforts to set up and start using the parental control ap. However, improvements in the tech world also resulted in changes in the parental controls app. Most of the monitoring tools available now are powerful and contain many useful features. Mobile Fence is one of the parental control solutions. Mobile Fence team claims they can help protect your child from smartphone addiction. Is it true and does the app really work? Find out answers to these questions and more in this Mobile Fence review from Truth.Best. Mobile Fence is the parental control solution, which employs powerful analyzing tool to protect children from harmful content. Mobile Fence app tracks all the kids’ mobile phone activities. The list of activities includes apps installed, websites visited and incoming/outgoing calls and texts logs. Mobile Fence is also an app for schools and business companies. It can help manage Internet access and make students more concentrated while studying. Mobile Fence solution for companies can stop the use of irrelevant applications on the company-owned devices. Mobile Fence monitors the data on the target device. The target device is any mobile phone compatible with the Mobile Fence software. For now, you can only use Mobile Fence on Android device. To start with Mobile Fence, you need to download the app from Google Play. Then you need to link your child’s account to Mobile Fence software. Once the account is connected with the app, log in to your Parent account to set the rules for mobile phone use. The information on how much time a child spends on their smartphone along with apps activity and SMS is gathered in reports. 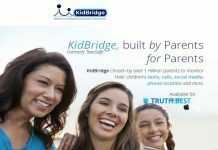 Parents can view the reports in real-time and set different rules for kid’s device usage. With Mobile Fence you can block the mobile apps your kid uses too often. You can set daily limits to help your child stay productive while studying. Mobile Fence allows you to protect kids from inappropriate material and block access to adult-oriented websites. Add the site to the block list to restrict a child from entering it. The Mobile Fence app tracks the route the child wonders and notifies the parents about kid’s latest location. You only need to predefine geofence to receive regular notification. You can read the text messages your child sends and receives. Mobile Fence shows the content of each message in your regular activity reports. Mobile Fence presents the full list of incoming/outgoing calls and allows you to block some phone numbers. Restricted numbers won’t be able to reach your kid over the phone. That’s the complete list of features offered by Mobile Fence. As you see, their features set is not very wide. Mobile Fence is more concentrated on managing apps usage than monitoring mobile phone activities performed by kids. To start using Mobile Fence, you need to download the app from Google Play. Open the app to create your parental account. Then log in and link the mobile phone to the Mobile Fence app. This plan allows you to monitor up to 3 devices. The Family3 will cost you $36 per year. With Family5 you can control no more than five mobile devices. You can purchase this plan for $54/year. Covers up to 10 mobile devices. Yearly Family10 subscription will cost you $99. Note that all subscription plans cover the same features set: websites and app blocking, device time controls, location tracker and some online activities monitoring. The only thing that varies – the number of devices you can control with each plan. Once it is done, you can start monitoring your kid’s device from the Mobile Fence website. One can legally use Mobile Fence if the person whose device you monitor, agree to be tracked. You can lawfully monitor the device you own and the mobile phone of your underage child. Mobile Fence is the parental control solution, which covers basic features. It doesn’t offer keylogging or social media monitoring, which makes it slightly limited. The Mobile Fence provides transparent monitoring. It means that both parents and children can see the settings and restrictions set by parents. This increases trust between kids and parents. Of course, for some parents, it may be the drawback. But everything depends on the intentions of the parent. So, to sum up, let’s proceed to the pros and cons of the Mobile Fence app. Next articleMy Mobile Watchdog Review: Is It Good For Android/iPhone Monitoring?